Looking at our sweet little boy as he sleeps beside me on the couch, it’s hard to believe that he is already two months old. It’s hard to believe that I haven’t really introduced him to you yet. 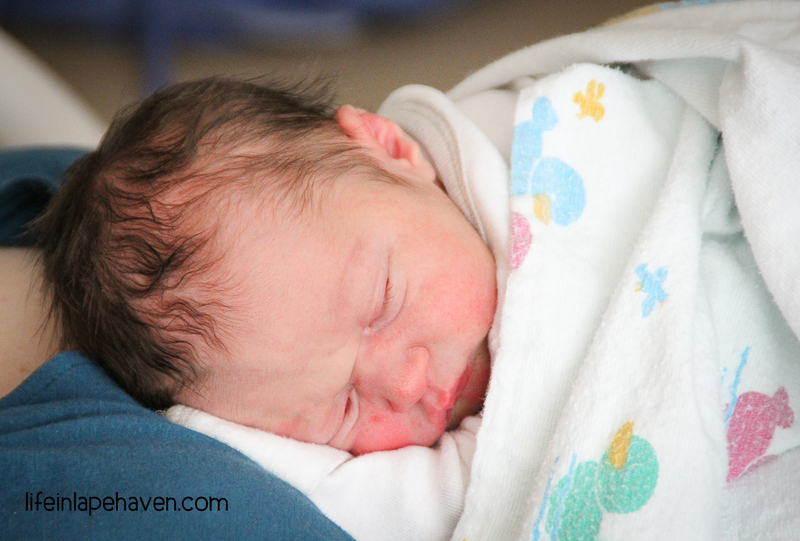 It’s hard to believe that I have sat down to write his birth story at least once a week for the last nine weeks, and either life interrupts my writing (newborns can be demanding) or the words just don’t seem to come. It’s also hard to believe that that’s been okay with me. 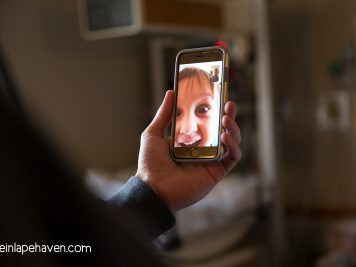 Very few things have gone exactly according to plan since Isaiah’s arrival, such as having a stomach virus hit our home the day after coming home from the hospital with our newborn. 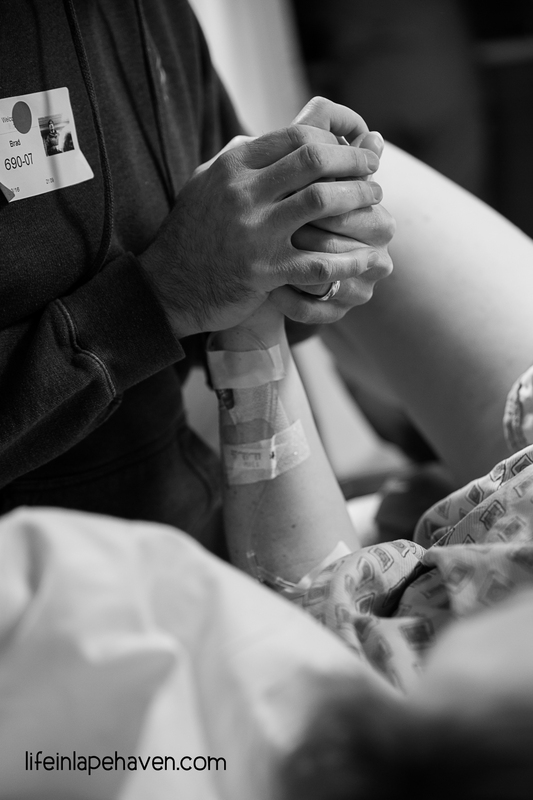 It was the kind of virus that lingered and caused us to be quarantined over the holidays and miss out on introducing Isaiah to our family and friends. In fact, for some reason or another (mostly sickness), most of our immediate family members didn’t even meet him until he was about a month old. 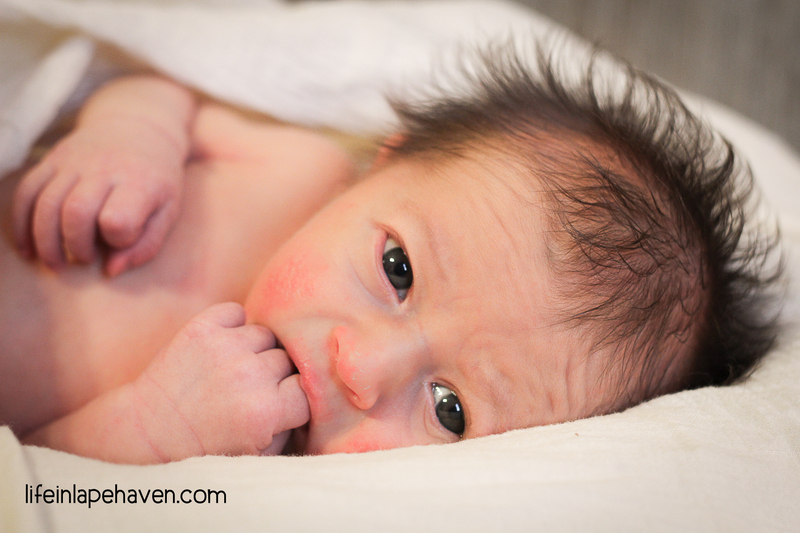 We also didn’t get to do his newborn pictures until he was about six weeks old instead of six days old. 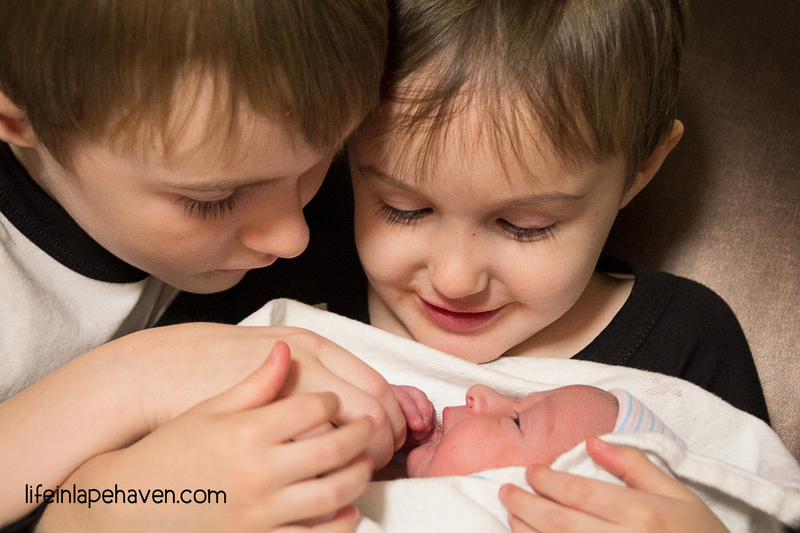 With all of that and other things, adjusting to life with three boys has been…well, an adjustment to say the least. However, through these last two months, God has been teaching me to let go of my plans (sometimes my control) and trust Him a little bit more. And He started my lessons off with a bang on the day before Isaiah was born. 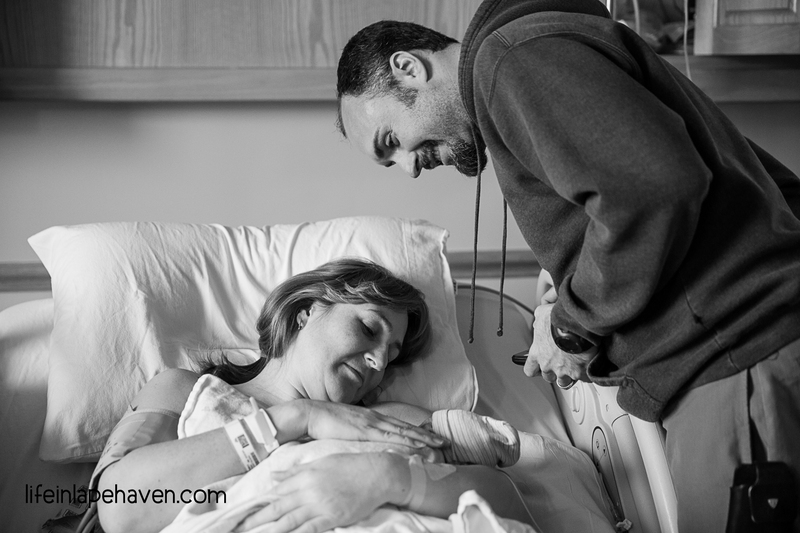 Just over ten weeks ago, I was lying in a hospital bed with monitors strapped to my 39-week pregnant belly. 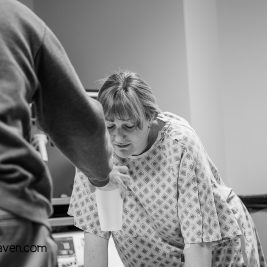 As I listened to the sounds of my baby’s heartbeat and movements over the fetal monitor, I was waiting for labor to start. Praying for labor to start. Picture courtesy of Picture Bliss Photography. That day hadn’t gone according to plan, at least not MY plans. In fact, if my week had gone as I’d liked it to, I would have already had our little boy the day before, on Monday, and I wouldn’t even have had to go to my doctor’s appointment that Tuesday afternoon. But our son had been content to stay put, and I’d gone to bed with a migraine Monday night (the second in three days). I made a quick – unplanned – visit to the chiropractor Tuesday morning (in case my headaches were just from my neck being out of alignment and also to be ready for when our little guy decided to come, which I knew was soon). 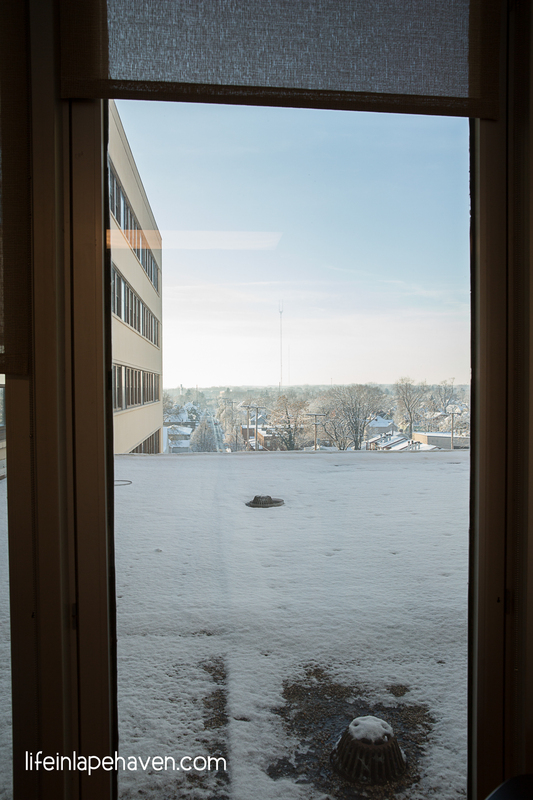 Then I drove an hour – in the snowiest conditions so far this winter – to my OB for my weekly appointment. Since I was over 39 weeks pregnant, my doctor would be watching me closely. 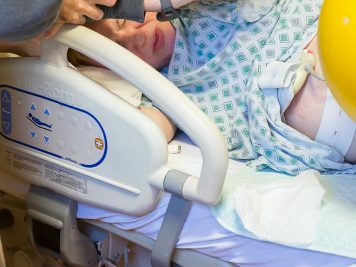 I didn’t want to be induced if I could help it. I knew my doctor would only suggest if there was a legitimate, serious reason. But still, I purposely didn’t bring my hospital bag with me. Because, you know, she couldn’t send me to the hospital if I didn’t have my stuff. Clearly, I was already suspicious that things might not be as “okay” as I wanted them to be. I was only a minute or so into my appointment when those suspicions got a little confirmation. As she was taking my blood pressure, I heard the nurse say, “Hmmm,” over the results. For the first time ever, my blood pressure was high. My doctor soon came in and double checked it. It was still high. So after she measured my belly and checked to see if I was dilated or effaced at all (only slightly), she was ready to talk. 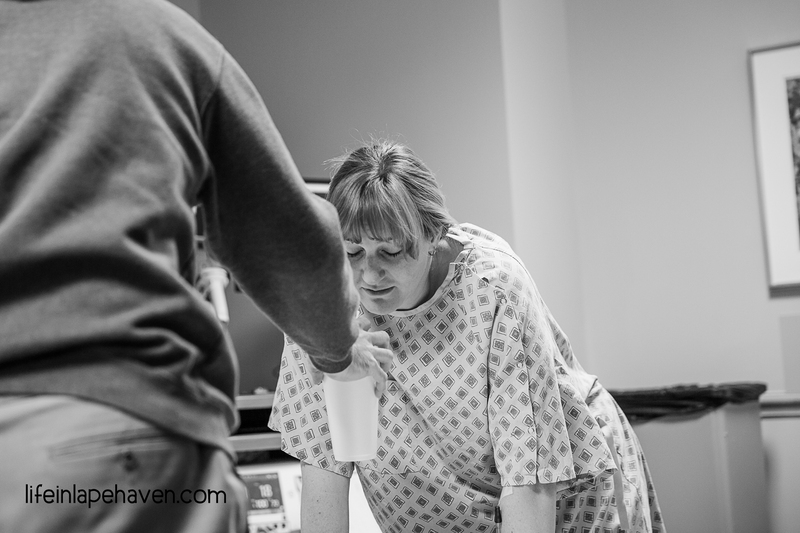 She wanted me to go immediately to labor and delivery to be checked and stay…to be induced. This was NOT how I wanted things to go. 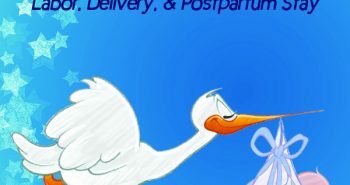 I wanted my labor to be as textbook as my previous two (which were un-medicated, “natural” deliveries), only maybe a bit quicker and even easier. THAT was how I’d planned it. Instead, I was going home to get my bags (my doctor was adamant that I just get my stuff & go to the hospital as soon as possible). Frustration, fear, and pregnancy hormones had me fighting tears as I sent a text message to my husband at work and then called my mom. 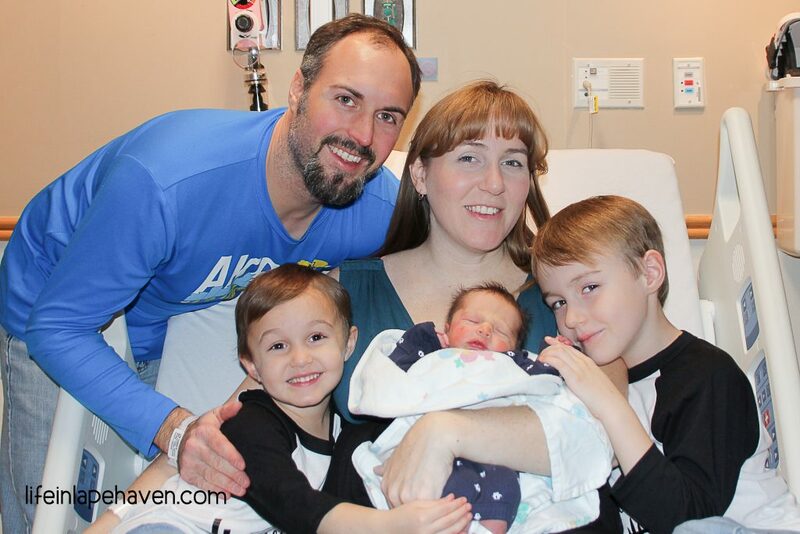 As I drove home, I worked out a new plan – one for getting my boys from two different places to my parents’ house, as well as coordinating with my husband and mom how we were all getting to the hospital. And I prayed through tears. I hated facing this sudden sense of urgency. I was frustrated that my body was betraying me like this. I was frightened by the worst case scenarios and the overall unknown that I was heading into. 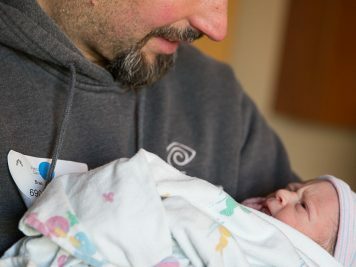 I didn’t want to face the wait, difficulties, and complications that can come with inductions, such as stronger contractions or even a C-section (with two older boys to keep up with, I knew my recovery time needed to be as easy and quick as possible). I had to trust that God was in control, and not just for me, but for my little guy, as well. I believed that He was, and that He had His own (BETTER) plan, but I needed to REST in it rather than fight against it, demanding we go by the plan that I thought was best. Right then, that was hard. Brad got home about the time I was ready to leave. We picked up Elijah from school, dropped him and our dog at my parents’ (Josiah was already there, thanks to my mom), and we headed to the hospital. 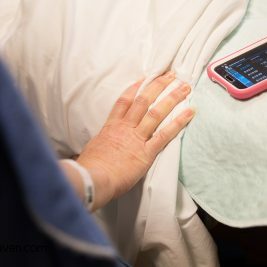 While Brad drove, I sent messages to different people whom I knew would pray – family, ladies in our church, close friends, and the women of my blogging group. Their replies of encouragement and faith started almost immediately and continued throughout the night. Many mom friends offered positive notes from their own induction experiences, which helped immensely, while others spoke peace into the chaos of my heart by reminding me that God wasn’t surprised by the situation. Having that community of women that I could trust and rely on to cover me in prayer and support was amazingly comforting. From the very first reply, my spirit began to settle, and God’s peace slowly took over, soothing my nerves and fears and calling me to simply trust Him. So soon I was in a hospital bed, monitors strapped to my belly, no longer fearful but now resolute and ready for this baby to come. 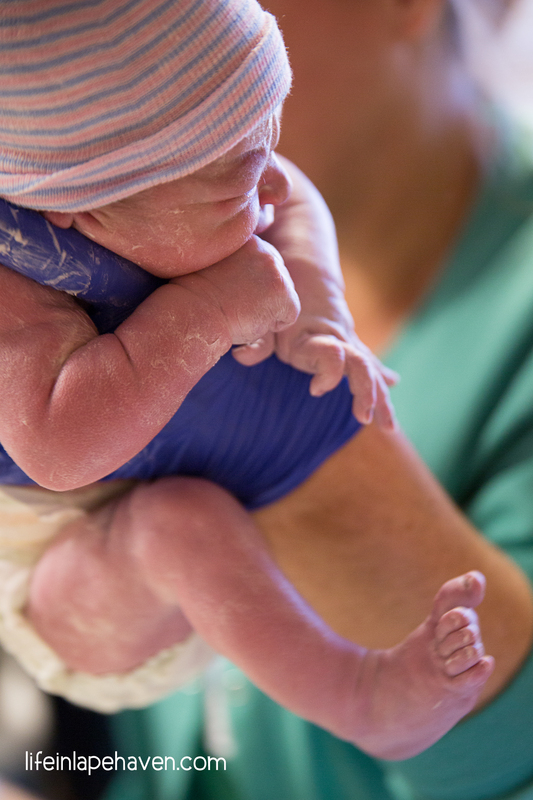 Since my doctor knew that I wanted as little intervention as possible in my labor and delivery, she gave me a dose of Cervidil around 7 p.m. to start my induction. (It’s a medicine that’s left near the cervix to soften it. It stays there for 12 hours). 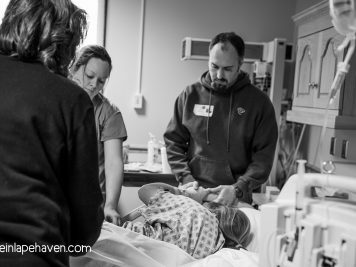 There is a long line of things that doctors can do to help labor along, but she and I were hopeful that this was the only one I would need. Now all we had to do was wait for it to work. All evening and into the night, Brad, my mom, and I waited. With the sounds of the fetal monitors in the background, we chatted, watched TV, replied to lots of messages for updates, and tried to sleep (like THAT is possible in a hospital). 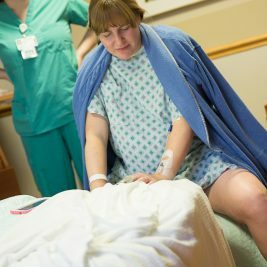 I just kept praying that the medicine would work and labor would start. While this wasn’t how I wanted my delivery to start out, I knew that I was doing what was best for my little guy and me. Waiting out a contraction. Picture courtesy of Picture Bliss Photography. 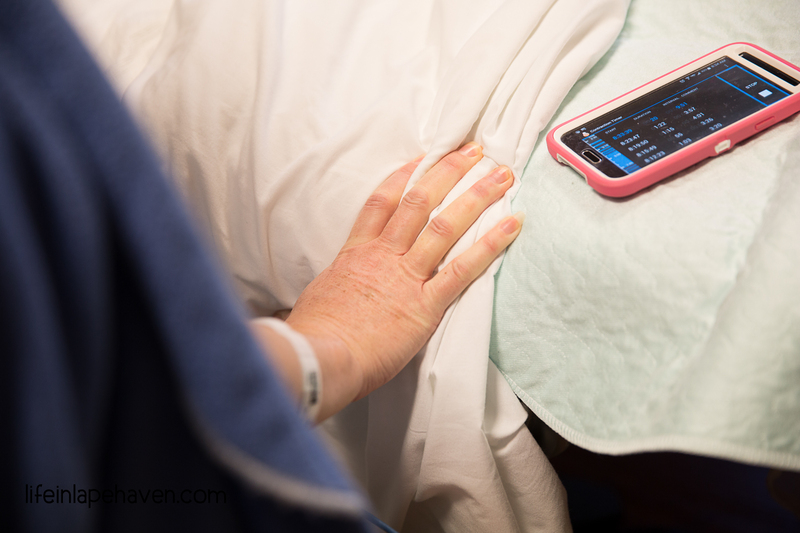 Timing the contractions on my phone app. Picture courtesy of Picture Bliss Photography. Resting between contractions. Picture courtesy of Picture Bliss Photography. 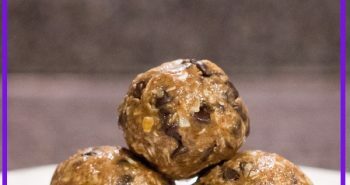 I did a lot of my laboring using the birthing ball. Picture courtesy of Picture Bliss Photography. 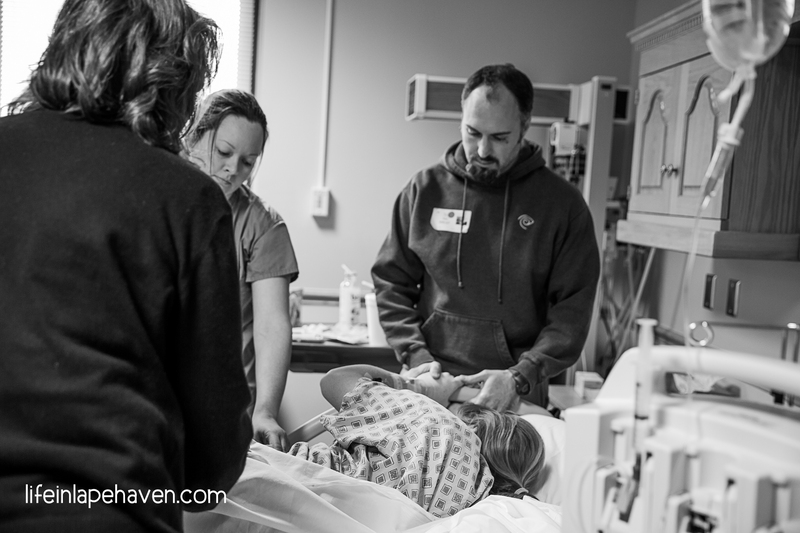 With those first good contractions, my focus went from all the waiting and dealing with being induced to “let’s get this baby out so I can meet him.” It didn’t matter how my plan was SUPPOSED to have gone – it hadn’t mattered much since I got to the hospital. All that mattered was that I was going be holding my little guy for the first time very soon. Even though the nurses wouldn’t check my dilation until 12 hours after I received the dose of Cervidil, which would be around 7 a.m., they did set up the birthing ball for me to use. 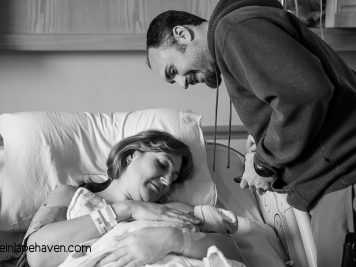 While my mom, Brad, and now his sister Kristin, who was there as our birth photographer, talked on the other side of the room, I swayed and bounced through increasingly intense contractions until 7:30 a.m.
By then, I was at 5cm and progressing rapidly, so much so that about 9 a.m. my water broke on its own, and I was feeling very done with being in labor! A call to the nurse got me onto the bed and checked again (8cm). 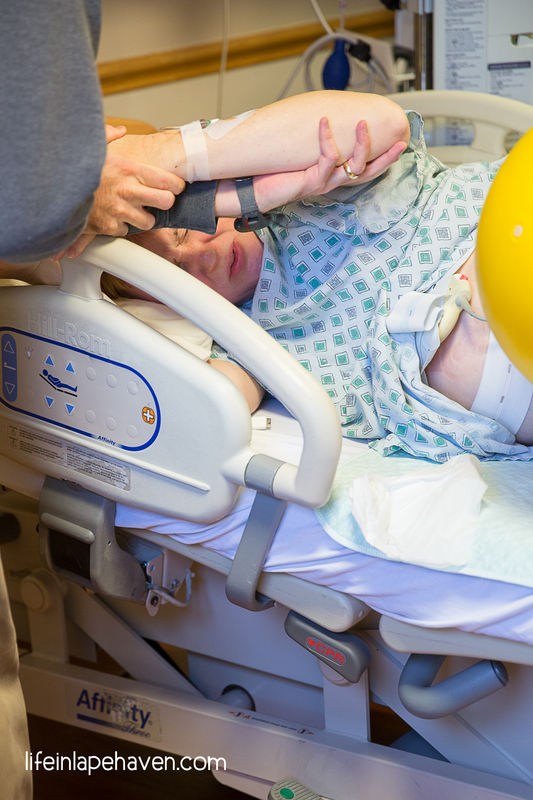 I labored there with the help of a peanut ball, my hubby, and my mom for about 4 or 5 more contractions (so NOT fun). Then I was more than ready to push. 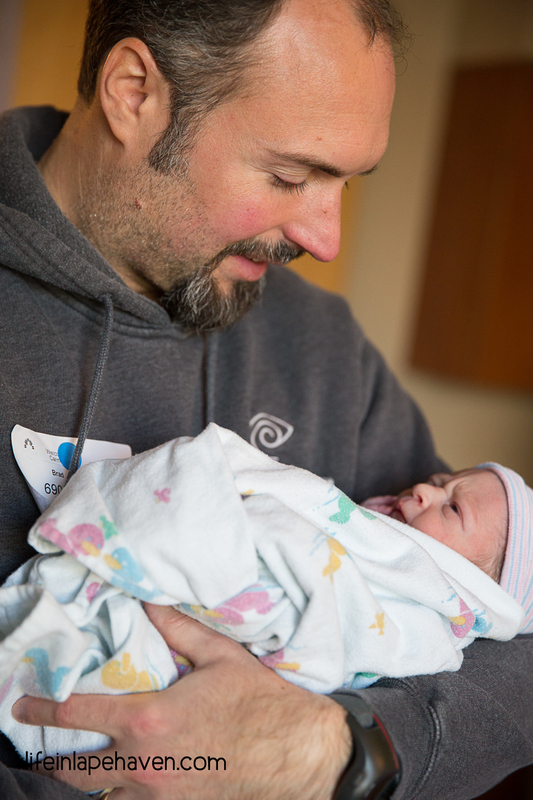 At 9:43 a.m. Isaiah Joel made his debut. 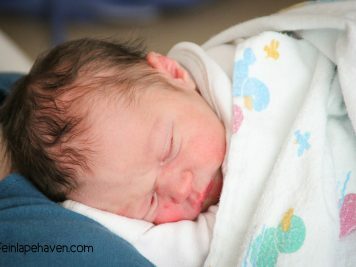 He was a tiny little guy at 6 pounds, 9 ounces, and 20” long. 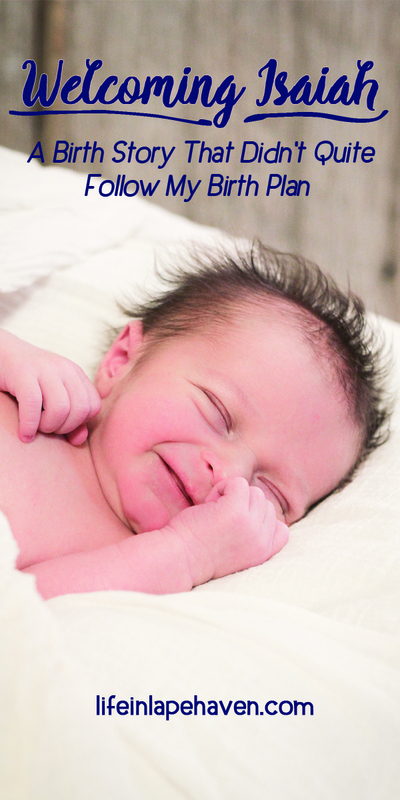 With his little body nestled on my chest, I thanked God for such a precious gift. And I thanked Him for this experience. While I always knew that it didn’t matter how a baby was born, I finally had something more to base it on. 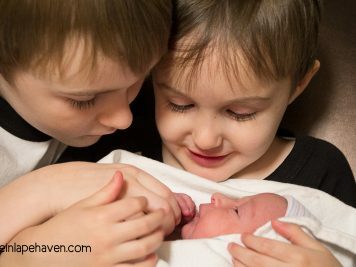 The feeling of overwhelming joy and awe was exactly the same as it was when I first held my other two boys, even though I needed a little kick start to get to the moment this time. 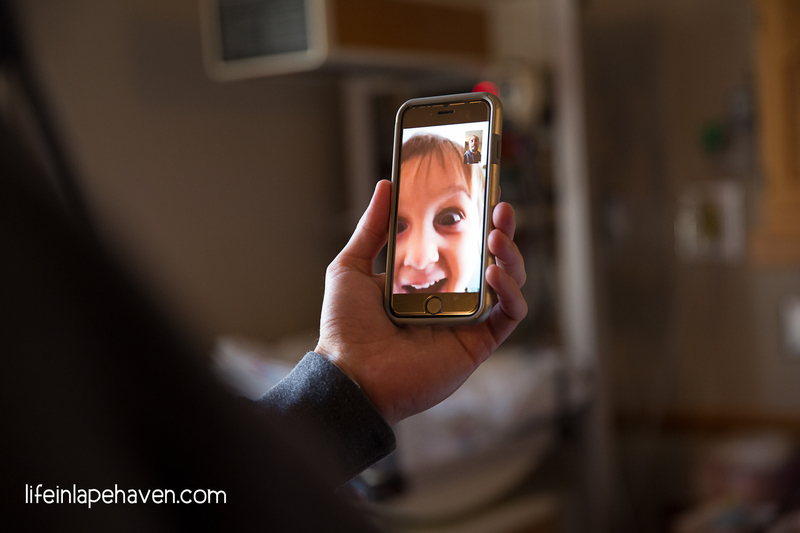 We used Facetime to give our two older boys a sneak peek at their new little brother. Picture courtesy of Picture Bliss Photography. Isaiah, his tired mommy, and his proud grandma. Picture courtesy of Picture Bliss Photography. Later in the day, Brad and I would compare notes on how much better God’s plan was than mine. 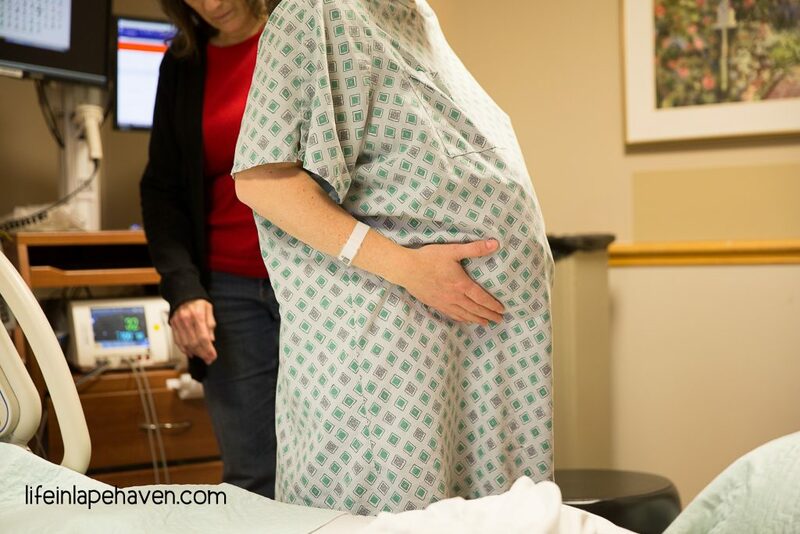 For one, from what my doctor said when she checked me at her office, it is very likely that I would have gone into labor on my own within a day or so had we not had the pre-eclampsia worry there. (By the way, I tested negative for pre-eclampsia, but they did have to keep a watch on my blood pressure throughout my hospital stay.) Anyway, our weather was being properly wintery that week, that day especially, with the night of my induction having wind chills below zero and icy road conditions. 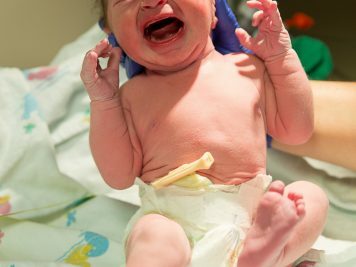 Had I gone into labor that night, we would have had to deal with that not only on our way to the hospital, but also with dropping our boys off with their grandparents. 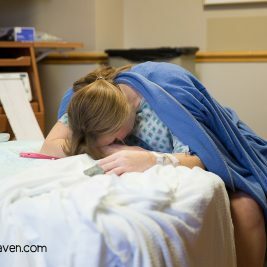 Also, with as quickly as my labor progressed, had we waited until my contractions were about 5 minutes apart to go to the hospital, we could have been cutting it close to get everyone and everything out the door, drop off the boys, and get to the hospital (in the nasty weather) before Isaiah arrived. The timing also worked out well for our boys and Brad’s parents, with whom the boys were staying. 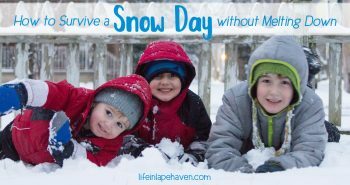 Thanks to the yucky weather, Elijah had snow delays for two of the three days we were in the hospital, which meant he didn’t have to be at school nearly as early as normal. That definitely made for easier mornings for them, as well as more time together. And of course, there’s that whole giving me a chance to trust God thing. 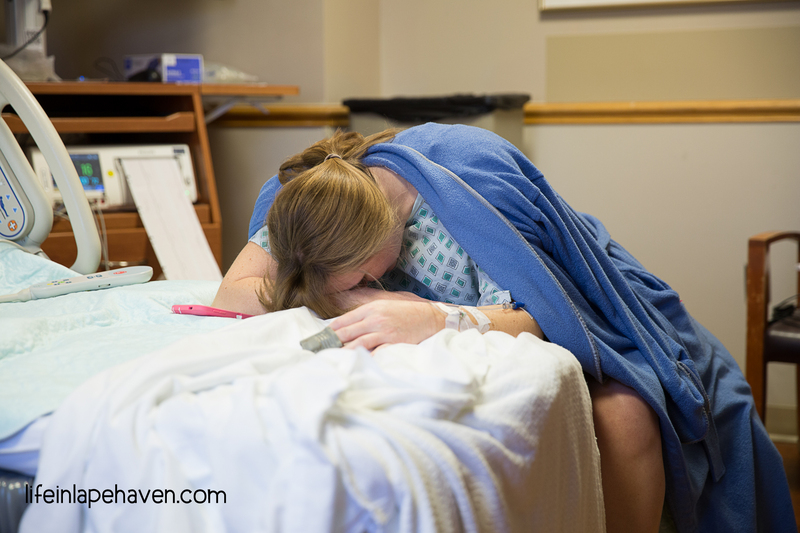 Had my labor and delivery gone according to my plan, I might have relied more on my previous experiences and knowledge to get through it rather than finding my strength in God. Often times, having “been there and done that,” we think we can do things at least a little bit on our own. 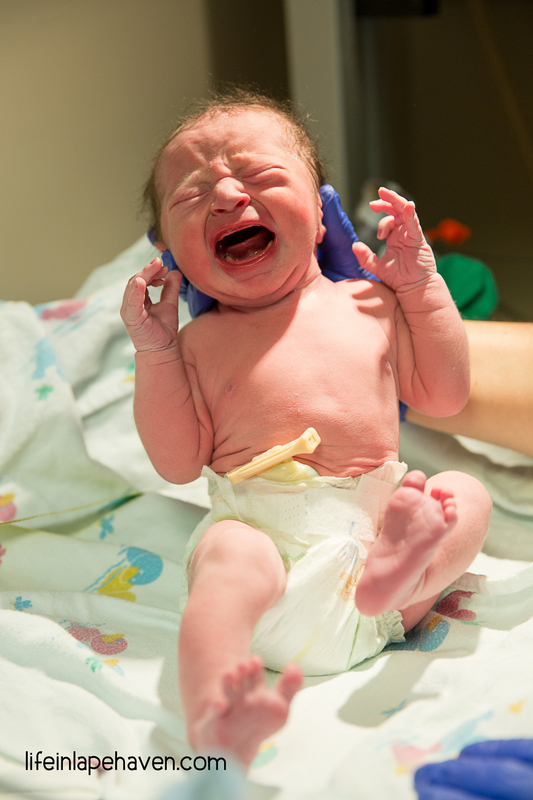 So even though my birth plan went a little off script, it was exactly as it was supposed to be. Because of that, Isaiah’s birth story will always be a reminder to me that trusting God over ourselves brings us the peace we need in any situation, even when things happen differently than we want them to. God always has our best in His plan. Big brothers meeting Isaiah for the first time. Our sweet little Isaiah is definitely one of the best of the bests that He has given to us. Birth photography pictures courtesy of Picture Bliss Photography. Previous postWhat Will Be in My Hospital Bag? Love this post. Thanks for being so real and honest in your experience. 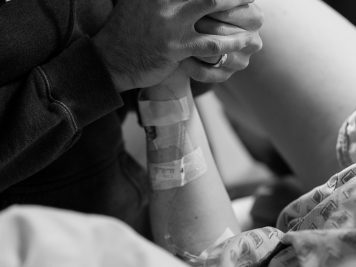 And the pics are amazing… helps give us a picture of what you actually went through. Thanks, Denise! It was definitely an experience I felt compelled to share, even though it took awhile to get it all written out. I’m so glad that we decided to have a photographer this time around. It’s awesome to have those moments captured forever. Kristin did a wonderful job!